Folia Ochronna Gllaser MAX SuperClear NOWOŚĆ! Błyszcząca w rozmiarze na życzenie -określony przez kupującego. W opakowaniu 2 sztuki folii GLLASER MAX Anti-Glare dopasowanej do wyświetlacza + ściereczka z mikrofibry. Folia Ochronna Gllaser MAX SuperClear do Acer neoTouch S200 F1 NOWOŚĆ! 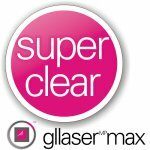 Folia Ochronna Gllaser MAX SuperClear do GoClever 5065 NOWOŚĆ! Folia Ochronna Gllaser MAX SuperClear do GoClever 4366 NOWOŚĆ! Folia Ochronna Gllaser MAX SuperClear do Samsung GT S5230 Avila NOWOŚĆ! Folia Ochronna Gllaser MAX SuperClear do Samsung GT S5620 Monte NOWOŚĆ! Folia Ochronna Gllaser MAX SuperClear do Samsung GT S7070 Diva NOWOŚĆ! Folia Ochronna Gllaser MAX SuperClear do Samsung GT S3650 Corby NOWOŚĆ! 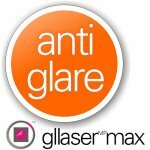 Folia Ochronna Gllaser MAX SuperClear do Samsung GT B7300 Omnia Lite NOWOŚĆ! Folia Ochronna Gllaser MAX SuperClear do Samsung GT B3410 Delphi NOWOŚĆ! Folia Ochronna Gllaser MAX SuperClear do Samsung GT B5310 CorbyPRO NOWOŚĆ! Folia Ochronna Gllaser MAX SuperClear do Samsung GT i5700 Galaxy Spica Lite NOWOŚĆ! Folia Ochronna Gllaser MAX SuperClear do Samsung GT i5800 Galaxy 3 NOWOŚĆ! Folia Ochronna Gllaser MAX SuperClear do Samsung GT i7500 Galaxy NOWOŚĆ! Folia Ochronna Gllaser MAX SuperClear do Samsung GT i8000 Omnia 2 II NOWOŚĆ! 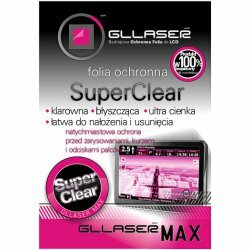 Folia Ochronna Gllaser MAX SuperClear do Samsung GT i8910 Omnia HD NOWOŚĆ! Folia Ochronna Gllaser MAX SuperClear do Samsung GT i9000 Galaxy S NOWOŚĆ! Folia Ochronna Gllaser MAX SuperClear do Samsung GT M8800 Pixon NOWOŚĆ! Folia Ochronna Gllaser MAX SuperClear do Samsung GT M8910 Pixon12 NOWOŚĆ! Folia Ochronna Gllaser MAX SuperClear do Samsung GT S7220 Ultra NOWOŚĆ! Folia Ochronna Gllaser MAX SuperClear do Samsung GT S7350 Ultra Style NOWOŚĆ! Folia Ochronna Gllaser MAX SuperClear do Samsung GT S8000 Cubic Jet NOWOŚĆ! Folia Ochronna Gllaser MAX SuperClear do Samsung GT S8300 Ultra Touch NOWOŚĆ! Folia Ochronna Gllaser MAX SuperClear do Samsung GT S8500 Wave NOWOŚĆ! Folia Ochronna Gllaser MAX SuperClear do HP iPaq 200 214 NOWOŚĆ!